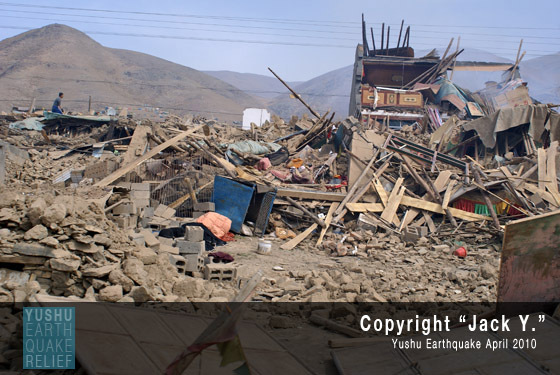 We have been able to map out our relief work from last week in response to the Yushu quakes. 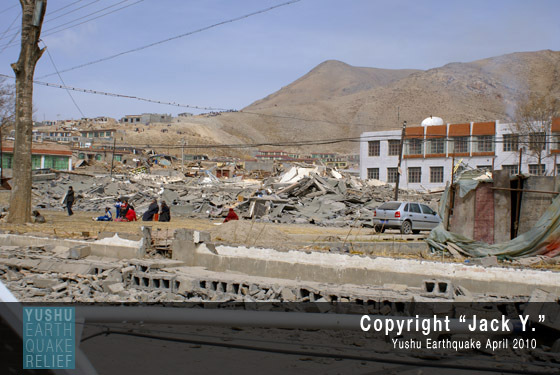 In order to grasp the big picture of the Plateau Perspectives continued relief work in Yushu we thought it would be nice to share it with you as well (click here). Also, make sure and give the video below a quick look. 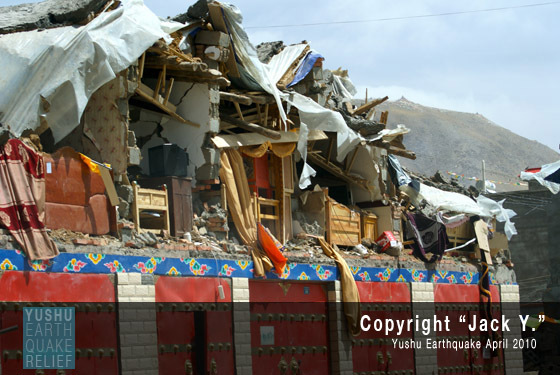 This video footage coincides well with the timeline and will hopefully give you an idea of how extensive the quake damage in Yushu really is. In other news, we were able to get two fresh doctors into camp this morning for continued support of our medical relief work. 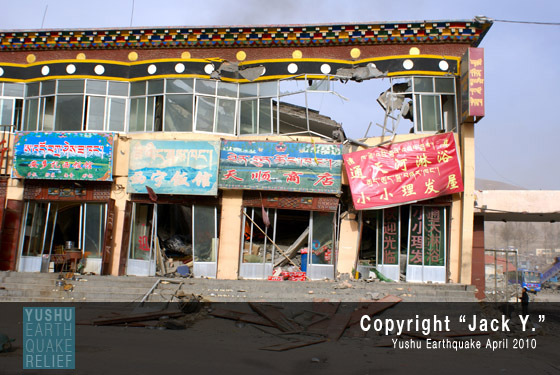 We are still up and running in Yushu and doctors and nurses continue to see between 150 to 200 patients all while providing extremely thorough medical care. 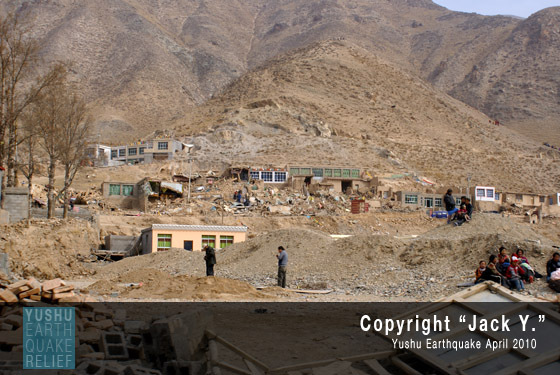 We continue to be pleased to be able to support the Yushu community at this time. Our supply truck arrived mid-morning today with fresh food and medicines. 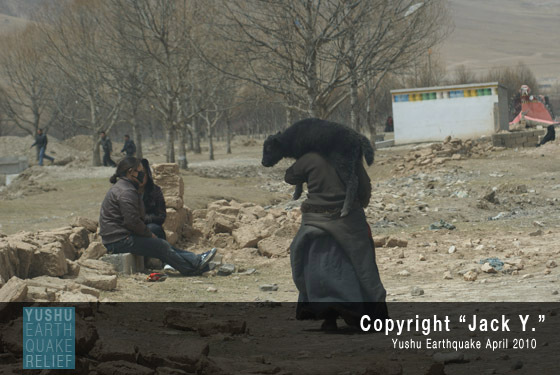 The tents were soon set up, the generators were humming, and water was being filtered and treated for drinking. Medical personnel continued to see patients throughout the day despite a short storm of hail, snow, and rain. Beyond the routine trips, one medical transport driver reported being able to take two little girls to the airport for evacuation to the city where their parents are hospitalized. Some doctors from team 2 needed to depart for Xining this morning to catch return flights home. They traveled over icy roads through driving snow for much of the 500 mile journey, but arrived safely in Xining before 9 PM local time. 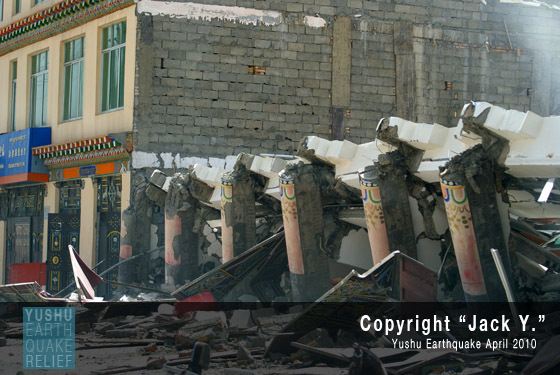 Additional medical personnel are now in Xining and are expected to travel to Yushu over the next few days. 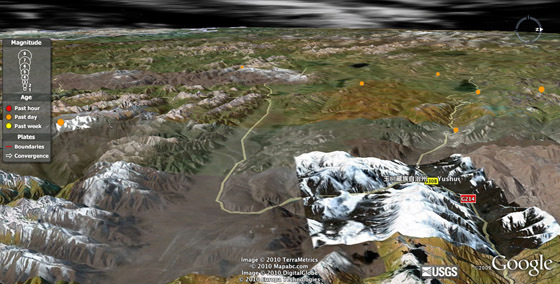 We were excited to get two more of our teams down to Yushu today. Our convoy arrived around 6 am this morning and was able to immediately jump into action assessing further needs as well as turn our vehicles in to makeshift ambulances. 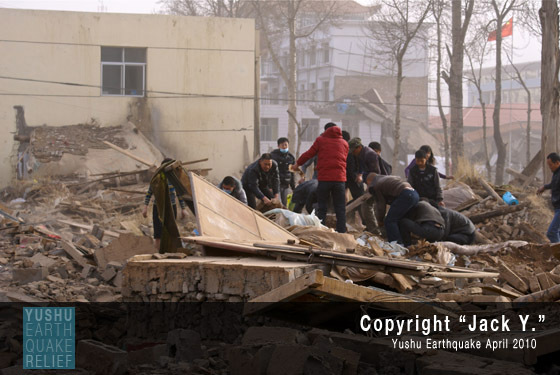 It was a great step in order to be able to bring the injuried to areas where they could receive help. Teams from the field report helping over 200 injured over the course of the day. 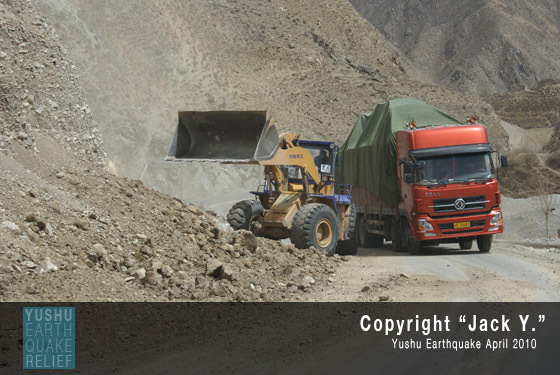 Our teams were also able to go out and bring in those who were more seriously injured to medical checkpoints. 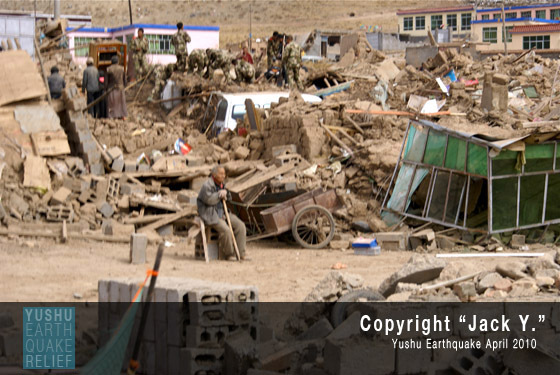 We have another two teams heading down tomorrow at 7am with Kham Tibetan translators from Yushu as well as more medical personnel. 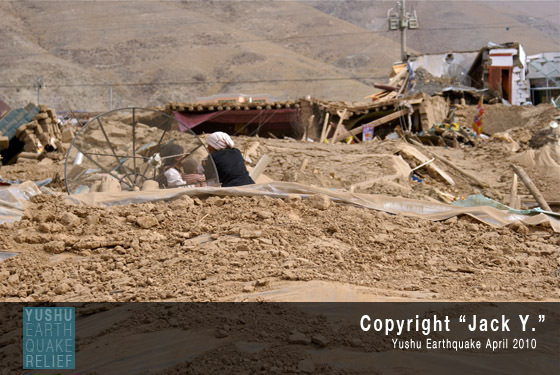 Serious need for water and food are still present. 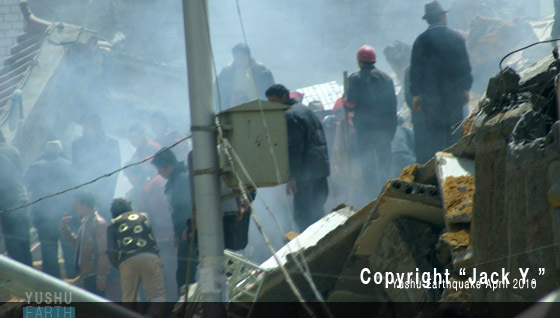 Survivors are still being rescued from the rubble. Jiegu from mr name on Vimeo. 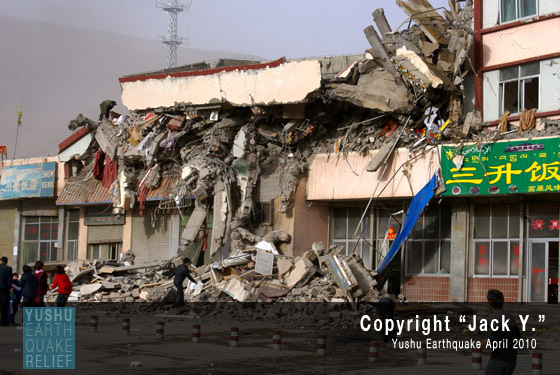 On April 14th 2010 several earthquakes struck the Yushu Tibetan Autonomous Prefecture in Qinghai province, the largest of which was magnitude 6.9. 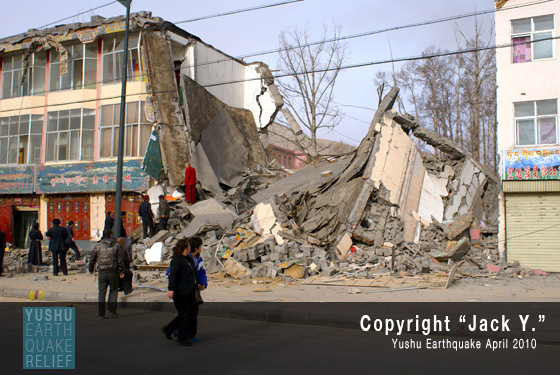 Initial eyewitness reports from the prefecture government seat Jiegu (Jyekundo) speak of extensive damage to houses and many wounded and dead. 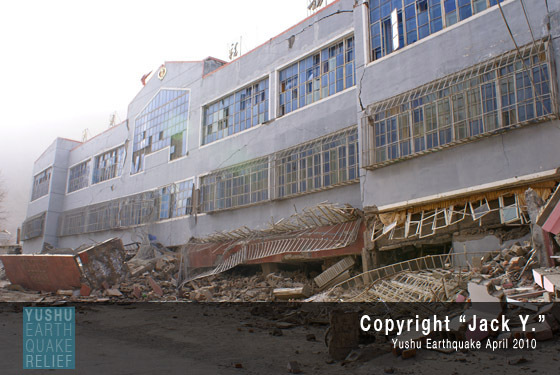 Official figures at time of writing are 300 dead and 8000 wounded. 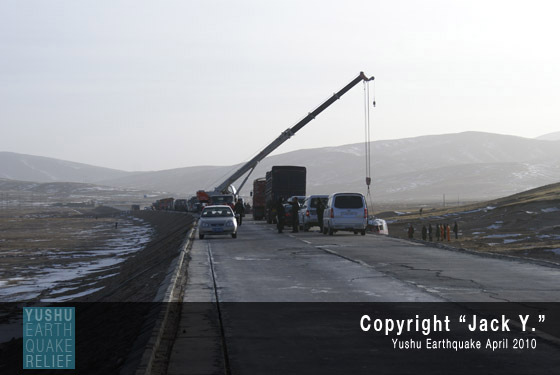 As more information becomes available we will be posting it atYushuEarthQuake.org. 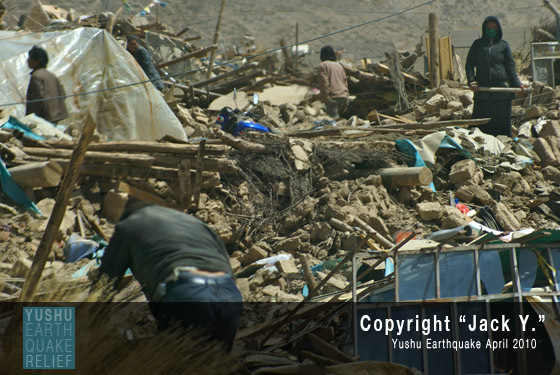 Initial requests from the prefectural government to our organization (Plateau Perspectives) include medical supplies, tents, and blankets. We will be sending an advance medical team down in a few hours to assess the situation and set up to receive additional supplies and medical personnel. 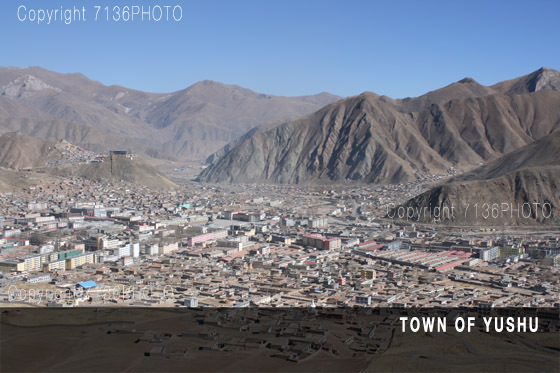 Yushu Prefecture is where all of our work for the past 10+ years has taken place, and Jaegu (Yushu Town) is home to many of our local friends. We’re very sad to have lost at least one friend and are waiting to hear news about several others. 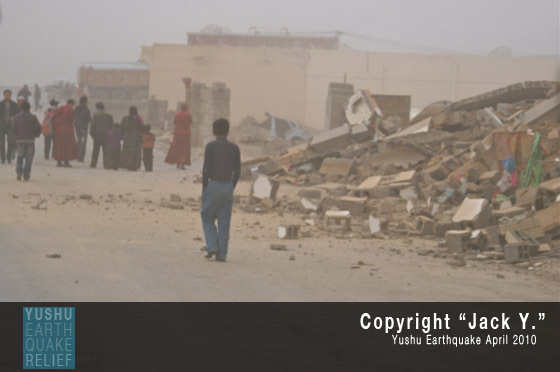 All of our fellow expats who were in the area at the time of the quake have made it out safely. 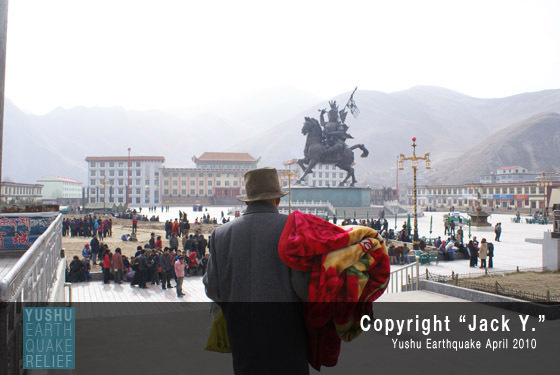 Enter the following Chinese links with latest news and pictures into translate.google.com to read the pages in English. 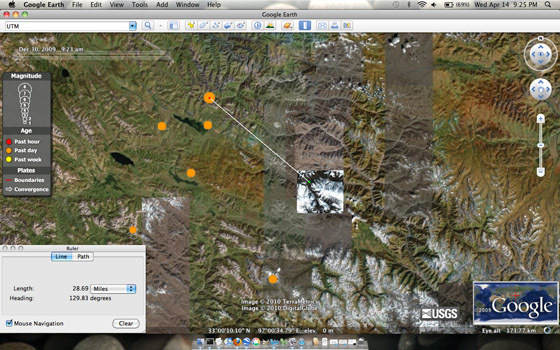 GoogleEarth map 1 shows the initial quake and several aftershocks that occurred throughout the day, Wednesday. 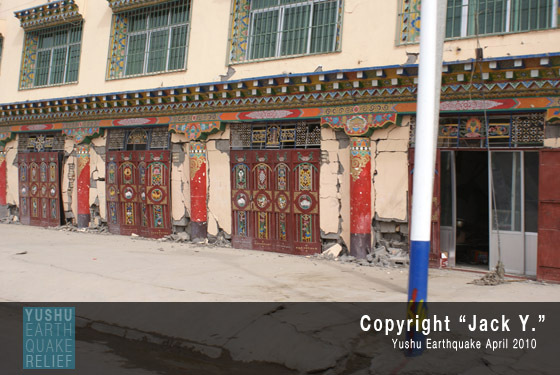 The first quake occurred at 5:40 am, followed by a 6.9 quake two hours later approximately 29 miles northwest of Yushu Town.